Dogs have a "third eyelid" that contains a tear gland that helps with the production of tears. It is located in the corner of each eye. Normally, you cannot see this gland. 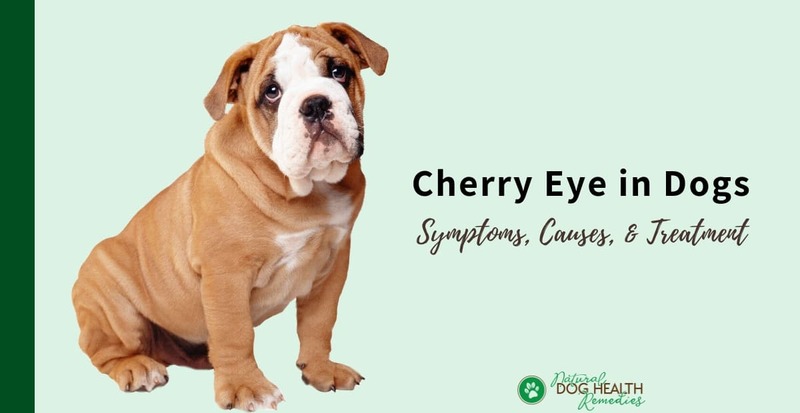 Cherry eye is an eye condition in which the gland of this third eyelid comes out of its normal position and becomes red and swollen, making it looks like a cherry - thus the name cherry eye. Medically, cherry eye is known as "nictitans gland prolapse", or "prolapse of the gland of the third eyelid". As you can see from this picture, it is not difficult to miss that a dog has developed cherry eye. You can see the red mass in the corner of the affected eye, and because of that, there may be eye discharge and your dog may paw at the eye. 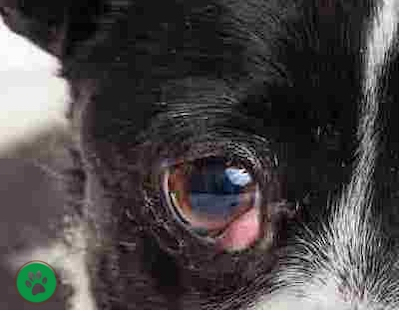 Cherry eye in dogs is not really painful, but since the third eyelid's function is to help produce tears, a protruded third eyelid means that it cannot function normally. As a result, the eye cannot have enough tears for lubrication. This can lead to infections. Cherry eye can occur to dogs at any age and it affects males and females equally. While the exact cause is not clear, it is generally believed that the condition is the result of a weakness of the connective tissue that attaches the gland of the third eyelid to the surrounding eye structures. Because of the weakness of the connective tissue, the gland pops out and is dislocated. As a result, the normally hidden-away gland is suddenly exposed to the air and airborne irritants that can cause it to become red, swollen, and infected. How Do You Treat Cherry Eye in Dogs? Some dog parents wonder if cherry eye will go away on its own. Unfortunately, it usually won't. And if you don't do anything and leave the gland exposed, it will get more irritated and infections may follow. The preferred conventional treatment of this eye condition is to surgically reposition the gland. The success rate is rather high - about 95%. However, for some reason, the unlucky English Bulldog and Mastiff breeds have a lower rate of success. How Much Does It Cost for the Treatment? The cost of surgery seems to depend on the clinic. It starts at around $250 but could easily go up to $800 to $1000! Complete removal of the gland is NOT advisable because the gland of the third eyelid is responsible for producing around 35 percent of the watery part of tears. Removing this gland will result in a condition called dry eye. In a study of 89 dogs with cherry eye, 48% of those who had their gland surgically removed developed dry eye within 3 years post-surgery (the earliest one was 6 months). 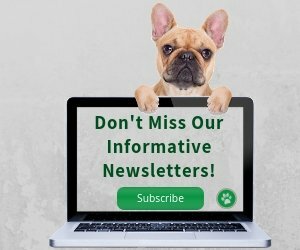 Can Cherry Eye in Dogs be Treated Without Surgery? 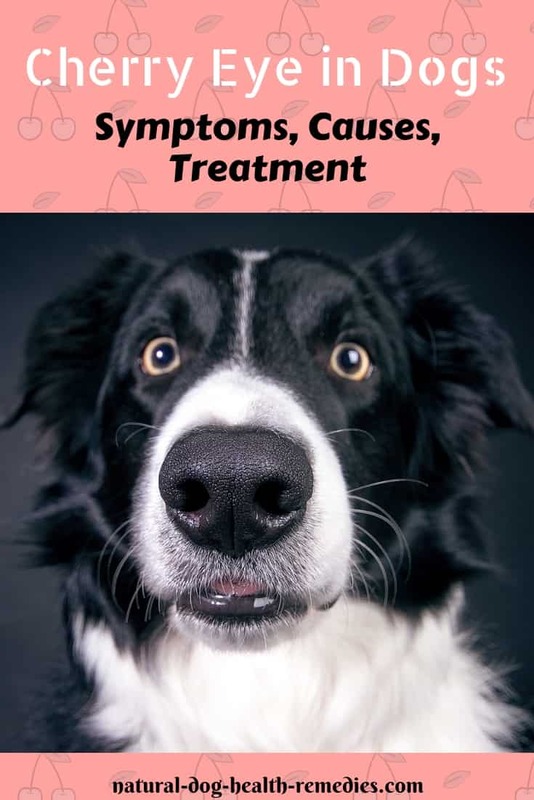 According to some holistic veterinarians, if you notice that your dog has cherry eye, it may be possible to treat the problem medically such as the use of herbal eyedrops or herbal remedies. However, such treatment needs to be given at an early stage. If medical treatment is not given to the dog early on, then surgical repositioning of the gland is the only solution. Therefore, it is advisable to get your dog to a holistic veterinarian the moment you notice that he has cherry eye. 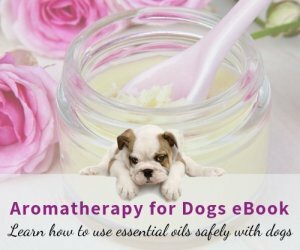 If your dog's cherry eye has been treated by surgical repositioning of the gland, you can use some herbs to support eye health after the surgery to help speed up recovery. Bilberry: This herb contains anthocyanoside flavonoids which have an affinity for the connective tissues in the eye. They provide structural support for the retina, cornea, and other constituents of the eye. Chrysanthemum: This herb is widely used in China to treat inflammation of the eyes, dry eye, weeping eyes, and blurred vision. Rehmannia: This herb has anti-inflammatory properties and is rich in vitamins A, B, C, and amino acids. It is also used in Asia to treat inflammation of the eyes. Lycium fruit: This Chinese herb contains high amounts of b-carotene, amino acids, as well as vitamins B and C. It has long been used in China to support eye health. 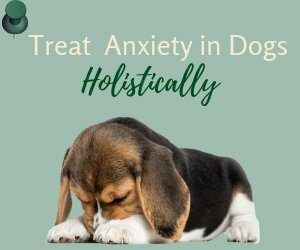 If you would like to support the eye health of your dog, you may want to take a look at these natural herbal products. They are for internal use. This Chinese herbal formula contains a lot of beneficial herbs for the eye, such as chrysanthemum, lycium fruit, and rehmannia. It is effective for many eye conditions such as eye infections and inflammation, dry eye, conjunctivitis, cloudy eyes, etc. This supplement contains bilberry extract and is beneficial for eye health. Next: Learn more about other common eye problems in dogs.